Avacta plc (LON: AVCT) Affimer Innovative Immunotherapies Presentation Feb 2019 by CEO Alastair Smith. 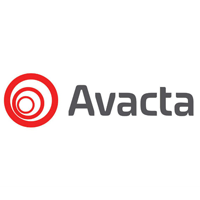 Avacta’s principal focus is on its proprietary Affimer® technology which is a novel engineered alternative to antibodies that has wide application in Life Sciences for diagnostics, therapeutics and general research and development. Avacta plc has a pre-clinical biotech development programme with an in-house focus on immuno-oncology as well as partnered development programmes. Avacta is commercialising non-therapeutic Affimer® reagents through licensing to developers of life sciences research tools and diagnostics.